Yes – and it was about bloody time – the Senate finally held up at least a small part of its bargain with the American people: to protect the public health and the environment. 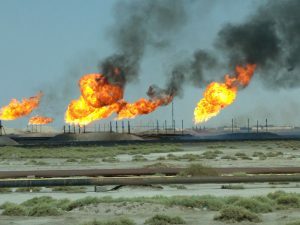 First, a little context: What you see on the left is the flaring of natural gas from oil rigs, in this case in Iraq. It is a problem all over the world though. Flaring is but one part of the problem of how “fugitive” natural gas greatly exacerbates the climate crisis. 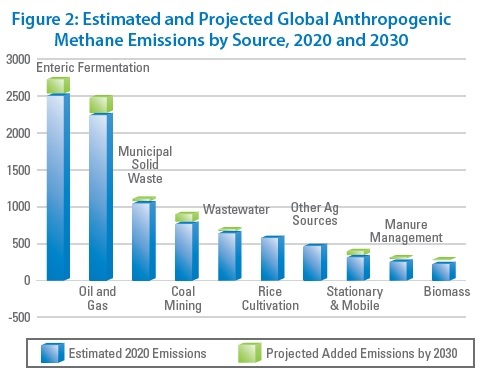 There is an awful lot of anthropogenically produced methane in the world that escapes into the atmosphere every year: about 7.13 billion tons of carbon dioxide equivalent in 2013 according to the excellent Climate Access Indicators Tool (CAIT) of the World Resources Institute. That was about 15% of the total of all the greenhouse gases produced that year, including those from land use changes like deforestation. There is, of course, the gas that is extracted for use, both from dedicated rigs and that which is “associated” with oil drilling operations. In many cases, however, it is often necessary, given the relatively rudimentary state of some oil extraction infrastructure, to flare the gas that comes up with the oil in order to avoid potentially explosive situations. A lot of that gas could be and should be captured for use, rather than be wasted by flaring, and that is the goal of projects like the World Bank’s Global Gas Flaring Reduction Partnership (GGFR). Which brings us back to the US Senate. Three Republican Senators voted today, along with all 48 members of the Democratic Caucus, to block the attempt by the Trump Administration to void important Obama Administration rules that had mandated strict rules to substantially reduce the venting, flaring, and leaking of natural gas from oil and gas operations on public lands. Those rules were just one part of a broader strategy by the Obama Administration to reduce American methane emissions. Only one Republican member of the Senate voted against the monstrous choice of Scott Pruitt for EPA Administrator: Susan Collins of Maine. Collins was joined today by Lindsey Graham and John McCain, two Senators who have, at times over the years, made the right noises at least about environmental protection. 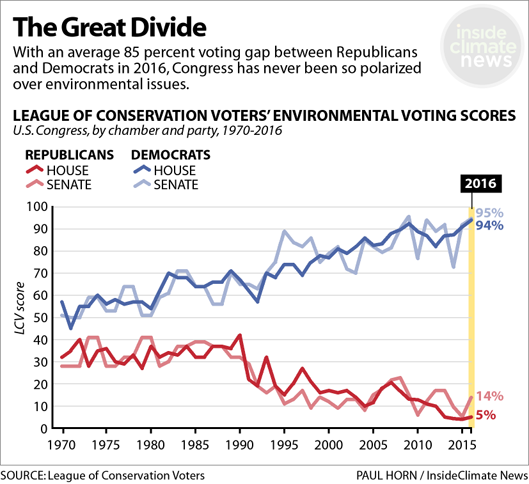 It has been a very long time, though, since the Democrats and Republicans were on the same page on a lot of things, and environmental protection and natural resource conservation show perhaps the greatest divergence over time. And here’s a disturbing compilation from the NY Times on what the onslaught by Pruitt and the other of Trump’s cowboys has meant for the environment and the public health. Maybe today’s vote in the Senate will mark a turning point for Congress. Maybe the war by Trump, the Kochs, and the fossil fuel companies on America’s fundamental, mainstream values on protecting public health and our natural world will begin to lose some of its virulent force. This entry was posted in fossil fuels, Obama Administration, Trump Administration and tagged CAIT, fugitive methane, John McCain, Koch Brothers, Lindsay Graham, natural gas, Susan Collins, World Resources Institute by Bill Hewitt. Bookmark the permalink.